Ford took the occasion of the launch of its first hybrid pursuit-rated police car to take a look back at the history of its law enforcement vehicles. The automaker has posted a fun fact-filled animated video that traces the development of its cruisers from the first official police package offered on the 1950 Mainline sedan through the 400 hp 1971 Galaxie to the new 2018 Fusion-based Police Responder Hybrid. 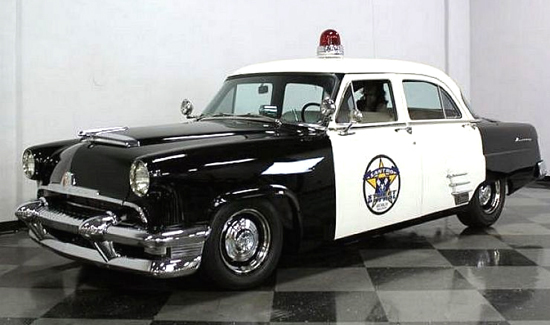 Did you know the 1952 Interceptor was equipped with a cigar lighter? How times have changed. The Police Responder is a far cry from even the more recent Crown Victoria, its four-cylinder hybrid powertrain more powerful than the first V8 in the legendary cruiser. The video sticks to the sedans and coupes, but Ford has had plenty of SUVs and trucks in its police force over the years, including today’s Explorer-based Interceptor, Expedition and F-150 pickup, all set to be updated for 2018.